If you are planning a romantic escape, our studio apartments on the beachfront of Horseshoe Bay offer an idyllic retreat for you to experience tropical Townsville to the fullest. 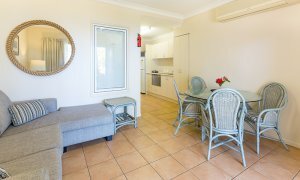 Complete with a comfortable bedroom, living space and a garden overlooking the beach, your studio apartment is perfectly located to let you explore everything Magnetic Island has to offer. Whether you wish to see the jaw dropping underwater beauty of the Great Barrier Reef in the range of snorkelling spots around the island, explore the old WWII bunkers dotted across the land or simply just swan about on the golden sands of Horseshoe Bay, our apartments offer the perfect location for you to soak up every minute of your holiday. 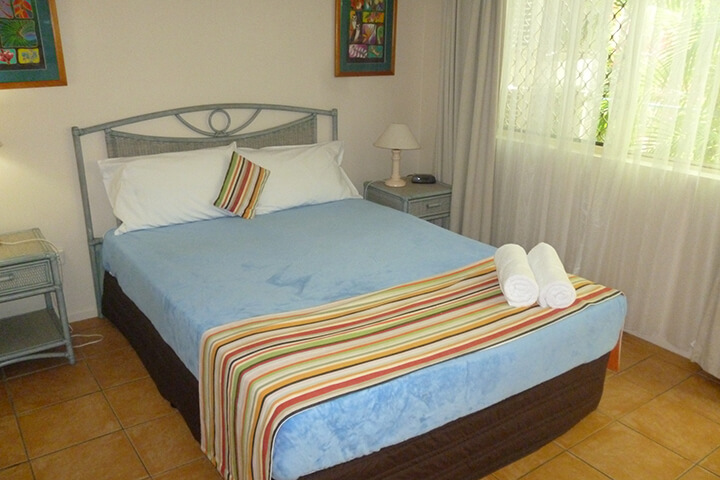 Get in touch with us to schedule your stay at a self contained apartment with Sails on Horseshoe today. 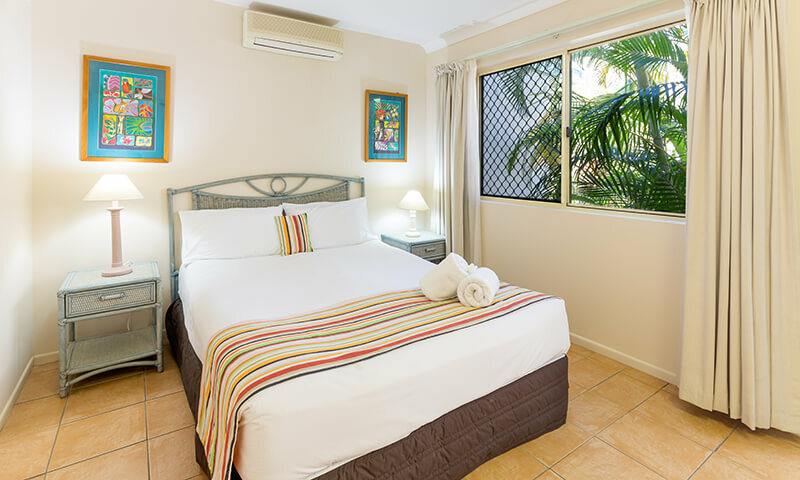 The ideal location, pricing and amenities offered by our 1 bedroom holiday apartments off the coast of Townsville makes Sails on Horseshoe absolutely perfect for couples looking for a quick getaway to the tropics. 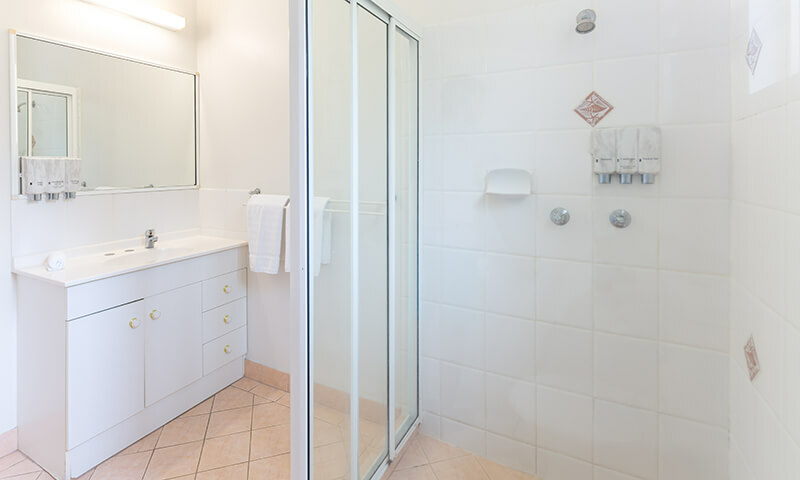 Our apartments on Magnetic Island strike an ideal balance between modern creature comforts and classic beach house living. 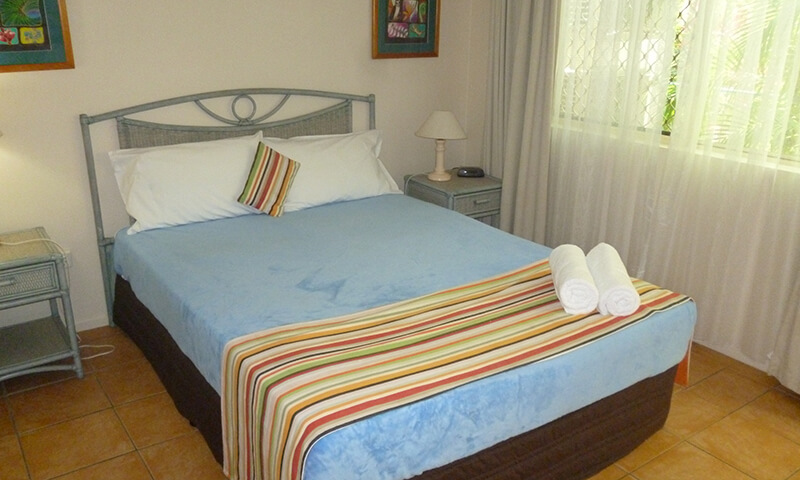 Read more about the facilities offered by our holiday apartments below. Book Accommodation For Your Next Townsville Holiday Now! 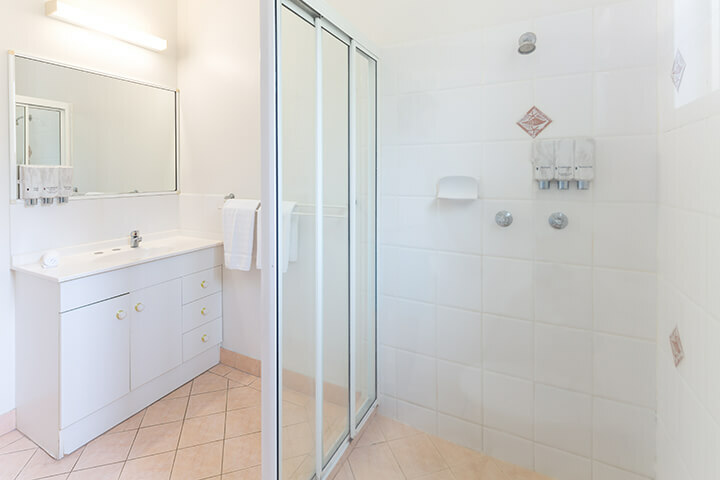 Whether you’re planning on spending a whole week or just a few nights off the coast of Townsville on Magnetic Island, our 1 bedroom holiday apartments provide you with the best accommodation possible for you and your partner on the island. We also offer other accommodation types such as two bedroom terraces and apartments for families and groups – just enquire to book your stay today.